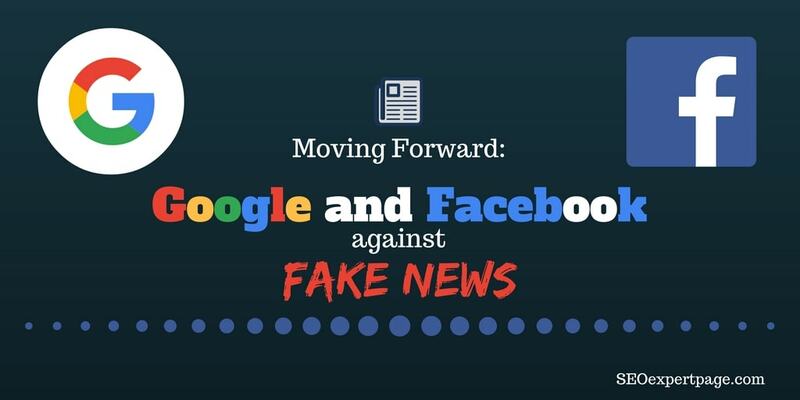 Google and Facebook announced on November 14, Monday, that it would take up measures to minimize the large number of “fake” news on their platforms. They aim to accomplish this by cutting one of the main sources of income for publishers of fake content: ads. Reuters says that the action was more or less influenced by the intense controversy surrounding the role of social media in spreading information. Chief Executive Mark Zuckerberg insists that Facebook did NOT play a role in the recent presidential campaign. In a public post, he stands by his word that most content on the popular platform is real. However, he also addresses the fact that more needs to be done regarding sites that contain ‘illegal, misleading or deceptive’ content, such as fake news. To help this issue, sites that have been deemed to have such unreliable information will NOT be able to use Facebook Audience Network. Google on the other hand, wants to encourage publishers to be more authentic in their articles. ‘will restrict ad serving on pages that misrepresent, misstate, or conceal information about the publisher, the publisher’s content, or the primary purpose of the web property’. This move aims to protect both the user and the business, as many companies will not tolerate being associated with bogus news. But as both tech giants refuse to divulge details of how else they will try to combat misinformation on the Web, how can regular online users protect themselves? What truly constitutes ‘fake news’? And how will this affect the future of SEO and digital marketing in general? The Basics: What Makes Fake News? Even if Google and Facebook will cut off ad revenue with their new strategies to combat fake news, they still can’t get through to what people share between each other. Deceptive content can still spread through third party apps, private messaging platforms, and personal social media Feeds. Just a single Share or Like can spread misleading information to anyone who would care enough to see. But that’s only part of the picture still. Perhaps the real question should be WHAT truly constitutes fake news. According to The Memo, ‘fake news’ doesn’t include obviously satirical content, especially if their About Page blatantly says so (that takes out The Onion, and similar sites). Clickbait also doesn’t count, because it’s a genre all its own (and it’s something that a LOT of online users should have been aware of by now). Journalistic errors are also NOT counted, as those are generally corrected immediately, and backed by an editor. Basically, ‘fake news’ is content generated specifically for the intention of promoting false stories for an individual or publisher’s own agenda. Fake news or bogus articles typically increase when there are highly significant events, such as during Brexit and the recent U.S. presidential election. It can target the local or international scene. Whatever your personal beliefs or political stance is, fake news is a REAL issue and it can have a huge impact – not only for the general public, but also in business. As digital marketers and online experts, we are accountable for the stuff we put out there. Whether you specialize in PPC or content marketing, make sure users receive your best. Research. In the quest to provide only high-quality, factual information, remember to always do your homework. Double-check sources, talk with experts, and keep your own biases at bay. Unless it’s an Opinion piece (be explicit about it), opt for facts that show both sides to a story. Repercussion. Understand that no matter how neutral you try to remain, there will be consequences for the things you decide to post online. Similar to real life scenarios, what’s been said is done. Even if you delete a post, people have already seen it (and maybe even took a screenshot). Knowing that even the bare facts can have repercussions should hopefully help you make more informed decisions. Google and Facebook may have taken small steps to help curb the fake news mania – but more needs to be done. Technology moves at a frightening pace, but so are people. New information is quickly received, processed, and then turned into something else. Combating fake news will take a while. In fact, we may never get rid of it. However, by understanding our roles in cyberspace, we can slowly move towards a better, more open future. *Need help filtering fake news? Check out Melissa Zimdars’ tips on how to analyze websites for fake news on Google Docs. There’s also a Chrome Extension to warn you if you’re about to enter a fake news site (based on Zimdars’ list). This article originally appeared in seoexpertpage.com. This article was written by Al Gomez from Business2Community and was legally licensed through the NewsCred publisher network.